Long before throwing verbal jabs at one another this past year, MoviePass and AMC Theatres worked together – for a brief moment. In 2015, AMC allowed MoviePass to be used at select theatres in Boston and Denver. However, things didn’t end well due to underwhelming subscription numbers and accusations of MoviePass tampering with the analytics it sent AMC, sources tell Business Insider. It’s just one example of why MoviePass has never had the best relationship with AMC, as well as many others in the movie-theatre space. In June 2011, MoviePass had one of the briefest startup launches in history. At a time when Netflix was beginning to show glimpses of the Goliath it would become, entrepreneurs Stacy Spikes and Hamet Watt decided to take that all-you-can-eat subscription formula and create a similar service for the movie-theatre experience. The initial plan they came up with for MoviePass cost $US50 a month, and with it you could see an unlimited amount of movies by selecting tickets on your phone and using an HTML5 application to present it at the theatre. A press release sent the Monday before the Fourth of July weekend said a beta version of MoviePass would start over the weekend in 21 theatres in the San Francisco Bay Area. But three days later, MoviePass was dead. It turns out no one at MoviePass bothered to inform the 21 theatres that it was going to use them as ground zero for the launch. By Wednesday, all the theatres had announced they would not participate in MoviePass’ beta test. AMC (six of its theatres were mentioned as participating in the launch) even sent out a press release stating it had no involvement with MoviePass. In a business where first impressions are everything, MoviePass got off on the wrong foot with the one group it needed: theatre owners. It especially needed AMC, which at the time was the second-largest movie theatre chain in the country, and would become the biggest in the world after acquiring a series of movie chains in 2016. But surprisingly, a few years later, MoviePass and AMC would partner and spark a bizarre chapter in this love/hate relationship. After the beta launch debacle, MoviePass went back to the drawing board. Having burned bridges on the exhibition side, it struck a deal with ticketing company Hollywood Movie Money in August 2011. Now instead of showing the ticket on your phone to the ticket-taker, subscribers would print out a voucher for the movie they wanted to see and show up to the theatre with it. With Hollywood Movie Money’s relationship with most of the major theatre chains (at the time its vouchers were accepted at over 36,000 theatres), MoviePass no longer had to worry about having any relationships in the exhibition world. Once again, the dream quickly ended. With pressure from movie theatres, Hollywood Movie Money broke off its partnership with MoviePass and the company was once again dead in the water. But then MoviePass found a way to get into the business without theatre support, and it has been the single biggest moment of the company so far. 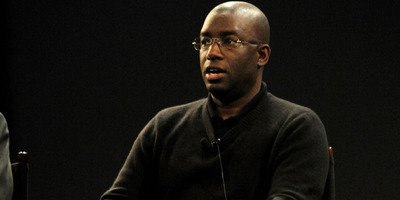 GettyMoviePass founder Stacy Spikes at the 2013 Tribeca Film Festival. With the help of new investor money from AOL and talent agency William Morris Endeavour – one source told Business Insider that even WME co-CEO Ari Emanuel sat down with Spikes and Watt to talk about building a relationship with movie theatres – MoviePass struck a deal with Discover Card in 2012. 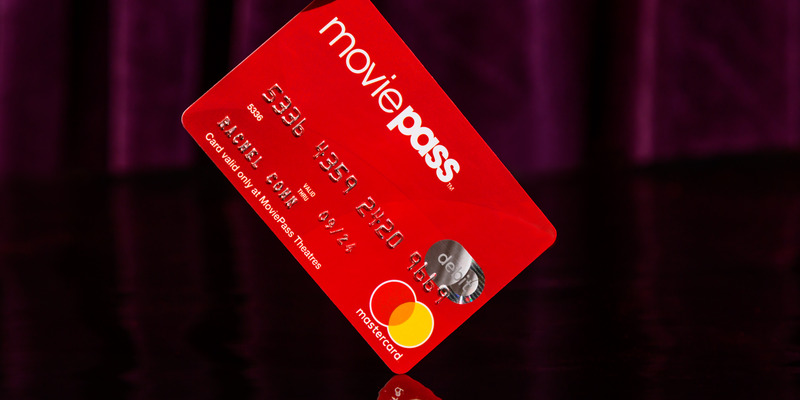 Now subscribers would select a movie and the price of the ticket would automatically be put on a MoviePass debit card that would then be used to pay for the ticket at the box office. That’s essentially the same mechanism MoviePass uses today. According to sources close to MoviePass, at the time it was a complete game changer as it forced all movie theatres in the country to accept MoviePass – if they accepted Discover. The debit card move, along with the backing from Hollywood players at WME, AOL, and other seed investors with movie connections, forced MoviePass through the exhibition door. MoviePass now had to be respected. Even AMC had to take notice. According to sources close to MoviePass, the startup began efforts to play nice with the movie theatre chains around 2014. Spikes was even invited to network and speak on panels at events held by the National Association of Theatre Owners, the largest organisation of movie theatre owners in the country, which includes the US’ biggest chains as its members. At the end of 2014, AMC announced that beginning January 2015, the chain would launch a pilot program with MoviePass in which the service would be accepted at select theatres in Boston and Denver for a subscription price of $US45 (to see films in any format) and $US35 (for standard 2D). “It frankly wouldn’t be smart to ignore the success of subscription in other areas of media,” said Christina Sternberg, then senior vice president for corporate strategy at AMC, referring to membership companies like Spotify and Rhapsody when talking about the deal with MoviePass to The New York Times in December of 2014. At that time, MoviePass had around 30,000 subscribers, according to a source close to the company, and was priced at $US30 to $US35, depending on where you lived in the country. Ken Wolter/Shutterstock.comIn 2015, AMC Theatres agreed to do a pilot program with MoviePass, in which you could subscribe to the service at select theatres in Boston and Denver. Behind the scenes, AMC had been trying to launch its own movie-ticket subscription plan for years. But without the support of the movie studios, AMC could never get it off the ground. MoviePass’ pitch to AMC, and other theatres, was pretty much what it’s doing today. For a fee, MoviePass would provide data on the habits of its users in the theatres, and in return MoviePass would pay the theatres full price on the tickets its subscribers ordered through the app. The hope for MoviePass was eventually that it could get a discount on tickets because theatres would recognise how much business the company was bringing in. As the pilot program with AMC continued in 2015, MoviePass created an exhibition relations team and slowly began building goodwill with theatre owners. One source close to MoviePass said in numerous instances theatre owners were more fascinated by the MoviePass tech than the business model, which led to Spikes informing them it was proprietary. But then things turned south when MoviePass presented AMC with its data. After the one-year pilot program, MoviePass and AMC co-sponsored a research white paper in March of 2016. Both companies submitted data for the report. In its findings, the white paper showed that before MoviePass, AMC moviegoers went to the theatres taking part in the program in Boston and Denver an average of one and a half times per month. After MoviePass, it increased in both locations to just over three times per month. According to one source close to AMC, based on the findings AMC felt it could create a better subscription service on its own and didn’t need to work with MoviePass any further. Another source familiar with the deal from the MoviePass side told Business Insider that AMC felt the data MoviePass presented was not accurate and made the subscription service look like it had more influence on the attendance at the select theatres during the pilot program than it actually did. Ever since, MoviePass and AMC have been at odds. Though MoviePass was hardly a blip on the movie industry radar following 2015, it once again made itself known last summer when Helios and Matheson Analytics took ownership and launched a “$US9.95 per month for one movie per day” plan. After that drastic change, the rivalry with AMC was reignited, with barbs traded on both sides. 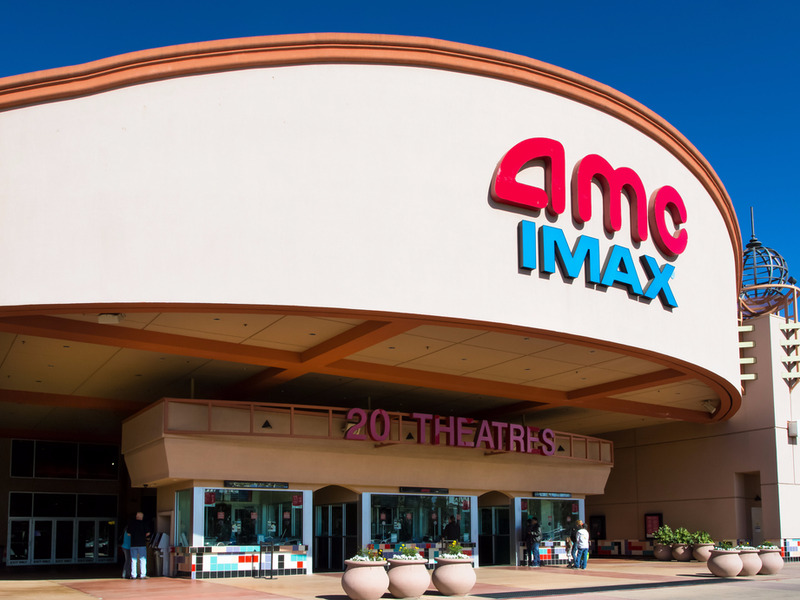 AMC announced that it was going to look into if it could shut out MoviePass from its theatres, and MoviePass took 10 AMC theatres off its app at the beginning of this year. Currently, MoviePass and AMC couldn’t be further from one another in the movie-ticket subscription war. With financial trouble and its stock trading at below four cents, MoviePass is trying to stay afloat by becoming the home for the “occasional moviegoer,” as MoviePass’ current CEO Mitch Lowe put it. On the other side, AMC’s seven-week-old subscription plan, Stubs A-List, has over 260,000 members and regularly accounts for more than 4% of the chain’s US attendance. But if it weren’t for the mistakes by MoviePass in the early days of the company, it’s possible its relationship with AMC and the entire theatre industry could be very different. AMC declined to comment for this story. 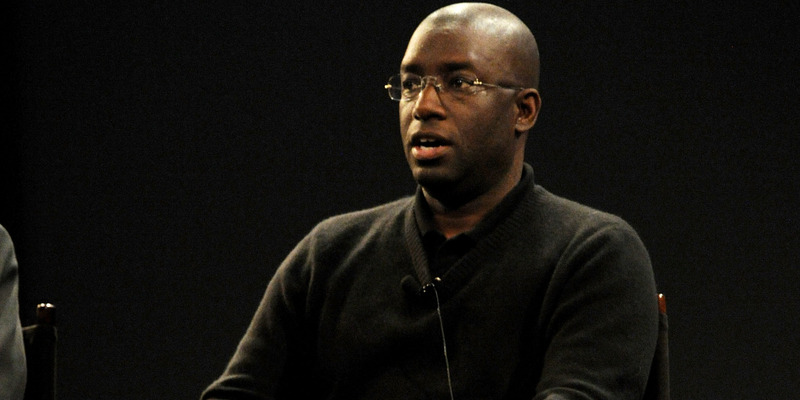 Stacy Spikes and Hamet Watt did not respond to Business Insider’s request for comment.